Global Positioning Systems (GPS) were developed and produced as stand-alone devices and are now integrated smartphones giving a wide range of options for their use. A GPS watch is most commonly used for fitness or specific sports uses. Internal sensors in the watch track your heart pace through your wrist’s pulse. External sensors in the shoe can check distance and speed by using your body’s beat and rhythm. The watch’s hardware or software can make it compatible with a smartphone app or computer program. Using a USB cord, bluetooth, or ANT+ wireless protocol for data transfer, you can analyze or keep track of long-term goals. Below we have come up with what we think are the ten best GPS watches for sportsmen. sportswomen and runners a like. If you have had any experience with any of these watches and want to add your own review, please feel free to do so in the comments below. The simple and straight-forward Forerunner 110 has a one year warranty. With a focus on its main function, GPS, the watch is extremely accurate in keeping track of your pace, distance, and time. Its accurate because it consistently locks on satellites, no matter if you run in the city under skyscrapers or in the country under trees. When using satellites, the watch’s batteries have 8 hours of power. In power save mode, the batteries have 3 weeks of power. 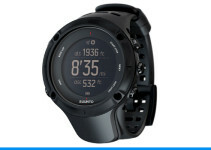 As a Garmin product, the Forerunner 110 utilizes Garmin Connect to analyze your data for long-term goal tracking. 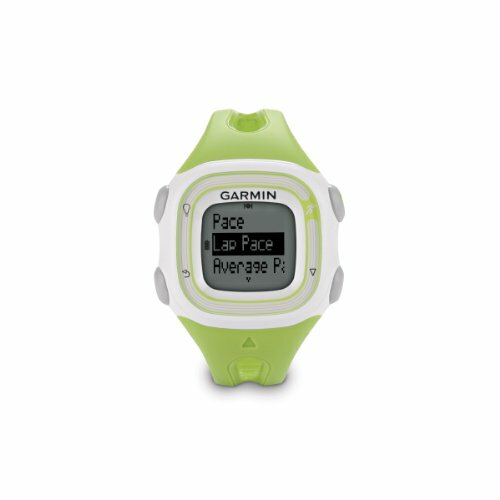 The Forerunner 110 also has enough internal data storage to keep several runs on your watch and immediately available. The Forerunner 15 pairs with a heart rate strap to monitor and aid you in your run’s regulation. Knowing how hard your heart is working lets you gauge how long your intervals should be. You can also set an alarm for each mile which will also light your screen. The watch also can track your steps without the heart rate strap by toggling the GPS outside or using a foot pod on your shoelaces. Tailor your workout to your body. Using Garmin Connect, you can track your workout progress. You can also use the Forerunner 15 to increase your general activity levels by setting an alarm to alert you when you are too idle. The internal data tracker keeps ​record​ of your calories burned, as well as distance, time, and pace. Waterproof up to 50 meters, you can use it for swimming and to ensure rain and sweat will not damage your record keeping. 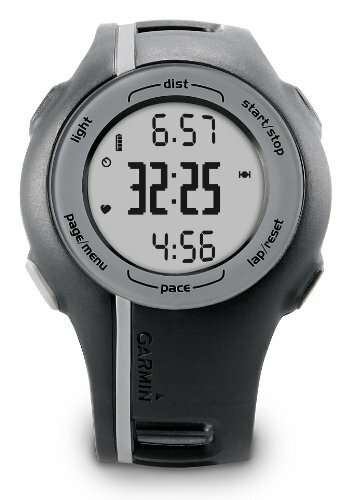 The most lightweight Garmin model is the Forerunner 10, which has a wide wristband and watch face. The design is sleek enough to wear as a daily watch. If you run 30 minutes a day, the battery only needs to recharge every ten days. Track how many calories you burn throughout the day. Or keep the most vital information to you on the front screen; including pace, distance, or time. The Forerunner 10 works with Gamin Connect for you to review how you are doing compared to last year or last month. While on a run, get motivated by setting it to let you know when you achieve a personal best or hit the next mile mark. The TomTom Runner is specifically designed for runners with a lightweight, ultra-slim design that fits well. The display resists damage from impact and scratches to be durable enough for the true runner. Keep track of your goals or intervals during a run by setting an noise or vibration alert. The HD watch face display allows you to see your progress easily. With one button you can get to the information you need. In-watch and online, you can view your stats and set goals on the TomTom Graphical Training Partner. 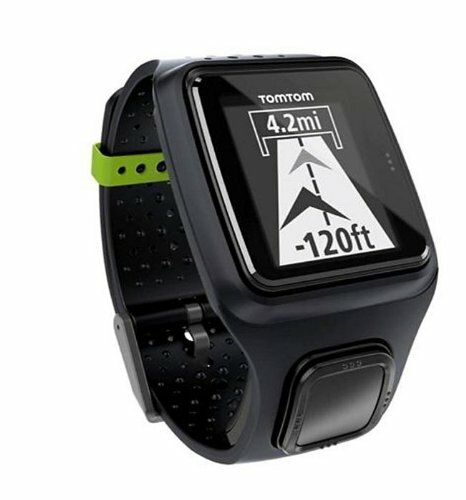 The TomTom Runner pairs with a heart rate monitor with bluetooth and is PC and MAC compatible. During a run you can view how you are doing versus your best times to perpetually move forward and better yourself and times. 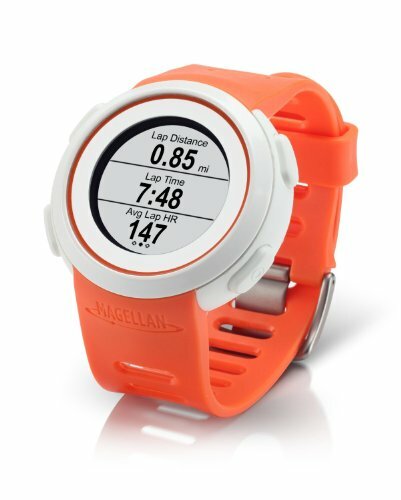 The Magellan Echo Smart Sports Watch pairs with Android 4.4 and iPhone 4S, as well as the newer models for both platforms. Use it a simplified and water resistant remote control for your fitness apps by using wireless Bluetooth. Designed as a daily watch, it uses very little power to reduce charging intervals, even when you toggle it to your music player app. The Magellan Echo runs off of a coin cell battery replacing the need for charging. 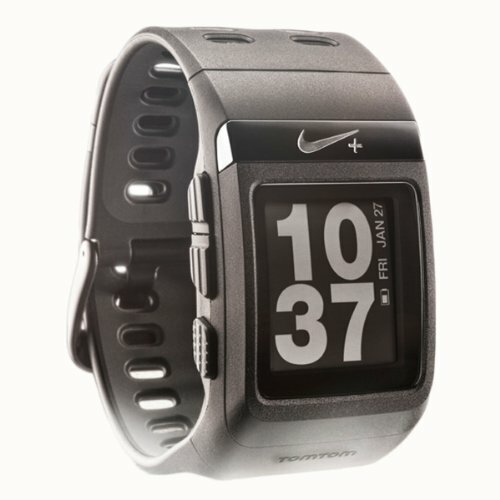 Compatible with most fitness and music apps; including iSmoothRun, Golf Pad, iTunes, Wahoo Fitness, and All Trails. Using HotFix Satellite Prediction, the Forerunner 210 is always ready to find and connect to the next satellite. No matter where you are, you will have accurate feedback on your run or movement. When used with the alarms, it is ready for your interval training. Also shock and water resistant, the Forerunner 210 is ready for any sport. The Forerunner 210 is compatible with ANT+ to use at the gym and keep track of your routine over time. Join the Nikeplus.com program and keep in touch and compete with your friends. Nikeplus makes running routes shareable on Twitter and Facebook. With an additonal heart rate monitor, you can add one more point to your graph alongside pace, time, and distance. The Nike+ is rechargeable with a USB and last for fifty days in standby mode and eight hours using GPS. 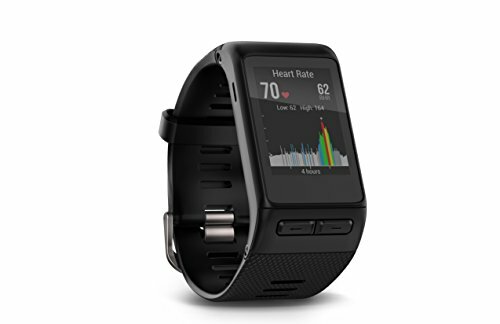 The Garmin Vivoactive has an internal heart rate monitor that uses your pulse. No need for add-on accessories. 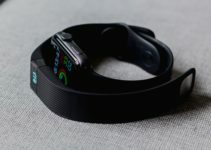 The watch also includes its own fitness apps and uses the Connect IQ store for personalization. For daily wear, you can use download a watch face specifically for your tastes on the high definition screen and the battery lasts eight days. The Vivoactive is designed for multiple sports and is water resistant. Utilizing the GPS and accelerometer, the Run App and the Bike App are accurate working out at the gym or in the great outdoors. Over 40,000 courses are included in the Golf App to give you range and a new course everyday. Take your intensity training to the next level with the Intensity Tracking app and record your daily health and sleep patterns. The Vivoactive is also compatible with most smartphones. Continue your current program or keep notified with vibration or sound alerts. Track and measure your performance as you are training for the Ironman. Any runner will be free from the confines of the gym and enjoy outdoor runs with GPS accuracy. The Timex is extremely comfortable and has a slim design. Without the bells and whistles, you can focus on your time and goals. WIth a customizable watch face, choose your focus. Use the interval timer and noise alert to keep track of your progress. 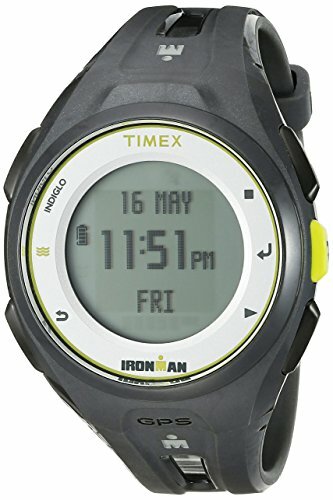 Water resistance for up to 50 meters, the Ironman is ready for your bike, run, and swim. Use the 99-lap counter stopwatch or the ten workout memory to keep track of your progress. Make sure to turn off the GPS while in the water. The GPS runs for six hours off of the rechargeable battery, but needs to be off while in the water. The INDIGLO night light works in or out of the water for your early morning start times. If you are a golfer, you know how important it is to keep your eye on the ball… and your focus on your golf game. 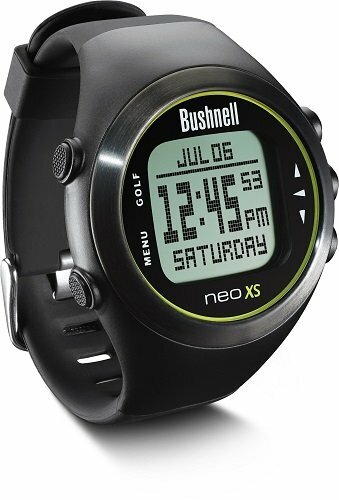 The Bushnell is created just for golfing and comes ready to play. No need to download or sign-up for an outside program. Comes with 33,000 courses and the GPS system will automatically recognize which course you are at. Set your tee time ahead of time by a week and the Bushnell will begin right on time and use the GSP to find your course. Tap at the beginning of the game and your watch will follow along and know which hole you are at. Play three full course games with one battery charge. The long-life battery will last two years while in watch mode and is rechargeable via USB. While charging you can update courses.